Our newest addition to the Blue Angel Pet Salon family, our Michigan Ave location has a combined total of 44 years experience. 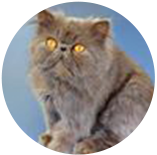 The shop is managed by Stefani Stiles, and every groomer here grooms cats as well as dogs. 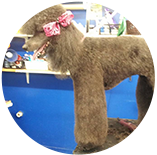 Stefani, the manager of our Michigan Ave location, has a total of 21 years experience, and specializes in hard to handle, old dogs, or dogs who need a re-introduction to grooming. 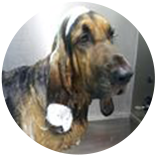 Blue Angel Pet salon always practices a “No Force” attitude toward grooming. 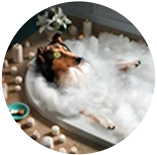 Of course some pets experience some anxiety when arriving at the groomer, but all of our pet groomers specialize in creating a comfortable, loving and inviting environment for your pet. 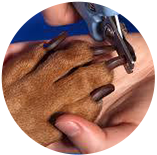 We really love animals and they know it when they arrive at any Blue Angel Pet Salon. 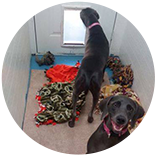 Candice has a total of 5 years experience and specializes in large breeds. Candice also furthers her education every year at the Atlanta Pet Fair. Leon has a total of 18 years experience and can handle any breed that walks through the door. Leon also has experience grooming show dogs.